Site under constrction for Spring!! This Resort is the 4th we have visited on Roatan, and quickly became our favorite! They ahve a very high rate of returning guests, dubbed "Coco Nuts", some returning up to and in at least one case, over one hundred times! Coco View is mostly a dedicated dive resort, but does offer great options for non-diving group members with fabulous snokeling and great setup for doing not much of anything. The food is well above average with 3 buffett style meals each day served in the large open dining room. Dive boats were well setup with CocoViews exclusive mid-boat entry really making rough seas boat entry easy. Dive masters and capatins could not have been better, having BCs and regulators set up and waiting for you on your assigned boat. This is our recommended Roatan destination. United and Delta are the most convenient from the west with a single connection. More details to follow. Kona & Maui Dive sites! Dive operator deals. We have visited and scouted the Big Island, and are finalizing Special rates for resorts and Delta's direct flight from Salt Lake into Kona. Kona is known for Manta Night Dives and large creatures! Little Cayman: May 5-12, Little Cayman Beach Resort. # tank dives each day, 7 nights stay includes all meals. Sells OUT at 22 ppl. FIJI- Sept. 20-29TH- $3249.00 Includes 5 Days of two tank boat dives, meals, air from salt lake! TWO ROOMS LEFT! Chuck Lagoon: Oct. ; Check out www.trukodyssey.com for information on the vessel on which we will be traveling. More information very soon. Please stay tuned!! Tulum, Mexico: June 8 -13 5 nights Stay at the Dreams Resort, all inclusive just north of Tulum, 3 days of 3 tank dives in the Cenotes! Also optional two day trips to Cozumel. Roundtrip air from Salt Lake to Cancun and all transfers included. $2850 with room for 4 more. We can help arrange your custom trips saving you money and a lot of time! 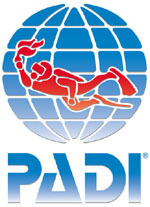 Next Certifications - PADI Open Water Diver course at Scuba Utah. What is included in the price of the Open Water course? The Open Water course fee includes your instruction, certification fee, and all Scuba gear (BC, regulators, tanks, wetsuit, hood, and weights). The course fee does not include personal gear (snorkel, fins, mask, booties, gloves), transportation, food, accomodations, books and materials (Open Water Crew Pack), or site fees (such as for The Homestead). For more information, see the SCUBA UTAH Student Handbook. Depending on the type and quality of gear you choose, personal gear usually runs between $150 and $300. Note that cheaper gear available for purchase at sporting goods stores may not be adequate for Scuba diving needs! The Open Water Crew Pack is approximately $55. Most classes will be done at either The Homestead (by Heber, UT), or Blue Lake (by Wendover, UT). The Homestead charges a site fee, approximately $20 per day.